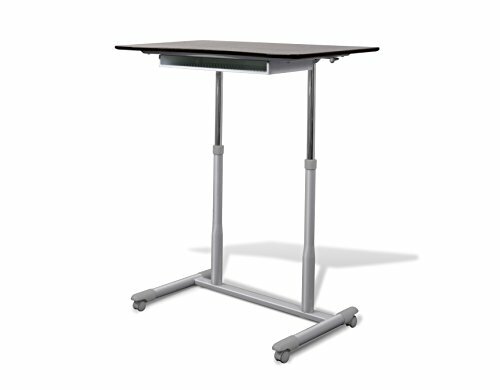 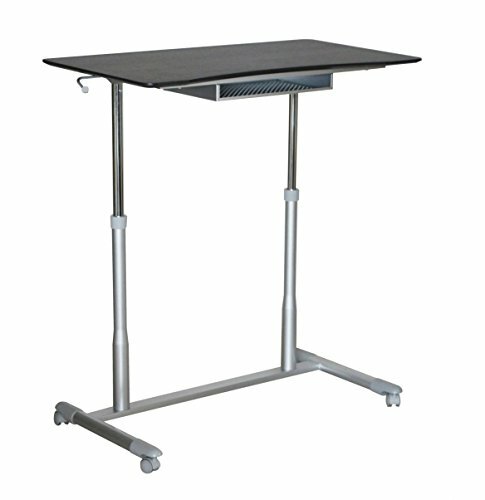 This height adjustable sit stand desk has a large surface to work, play or read upon. 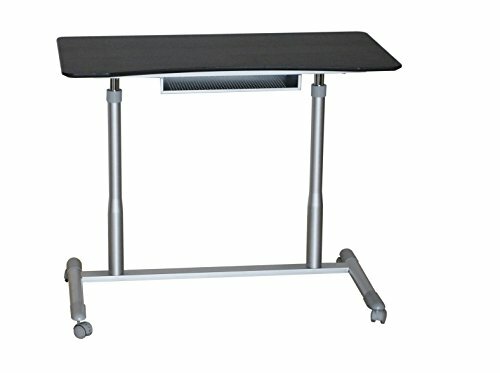 Simply place the desk next to your office chair or sofa to work comfortably either sitting or standing. 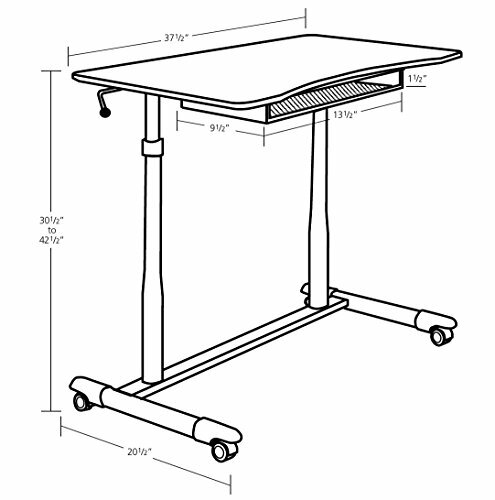 This desk comes with a handy wire storage shelf fixed to the underside of the desktop that can store your items when they are not needed. 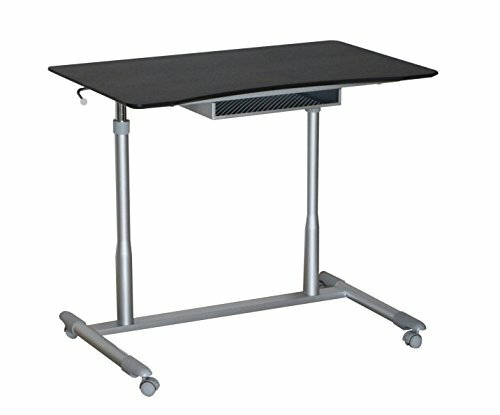 The desktop has an Espresso finish, and the base is a powder coated steel base.